Eminent Nigerians and ethnic national groups yesterday insisted on restructuring of the federation, to serve the greater good of all and not just some interests. Afenifere, Ohanaeze Ndigbo, Prof. Wole Soyinka and Gen. Ike Nwachukwu spoke on a similar note. 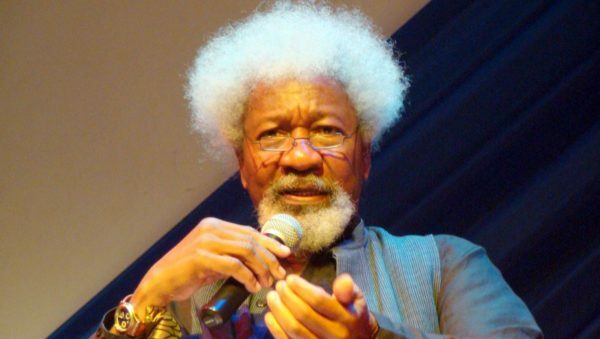 Prof. Soyinka, the keynote speaker, said: “We want the government to understand that they are part of the community and have been given a mission of carrying out the will of the people. When we talk about governance, we are talking about an instrument for the execution of the people’s policy. Insecurity has reached a certain level that even when we bring experts in, they wonder what exactly they have come to do. “One way of stopping the bloodbath is to reconfigure the nation. States must be given maximum control over their resources. Ohaneze leader John Nwodo said “those campaigning against restructuring in Nigeria have painted an unfortunate and untrue picture that those of us in support of restructuring are doing so in order to deny the northern states who have not yet any proven oil reserves of the ability to survive. This is unfortunate. The new model we propose for Nigeria recognizes that revenue in the world today is promoted by two main sources namely, human capital development leveraging on technology to drive the critical sectors of the economy and agriculture. Afenifere leader Ayo Adebanjo slammed President Muhammadu Buhari and Vice President Yemi Osibajo for singing discordant tunes on restructuring.